Abandoned buildings, hunger, lead poisoning and bed bugs: all real housing fears Americans still face following the housing crisis of 2008. Writer Martha Bayne and a team of local artists will bring these fears to life in a haunted house about housing on Oct. 29 and Oct. 30 in West Humboldt Park. A Memory Palace of Fear is an immersive theater installation by Theater Oobleck, an artistic collective that produces original theater works regarding social and political issues. Partial funding for the project was provided by the Social Justice News Nexus. Bayne was a fellow in SJNN’s recent fellowship cycle focused on housing, homelessness and segregation. “My main goal is to really stimulate people to rethink their preconceptions about blighted neighborhoods and using something like a haunted house to jar people out of their preconceived notions about what makes a neighborhood good or bad,” Bayne said. During the workshop, the audience will be guided through a haunted house made of items such as cardboard, bed sheets and lumber. The visitors will then be led into an art installation featuring videos and sound pieces, plus a performative installation where peoples’ housing fortunes are told. The final piece of the workshop includes a lounge area with cookies, cider, music and apple bobbing to represent “all things a home is supposed to be,” Bayne said. 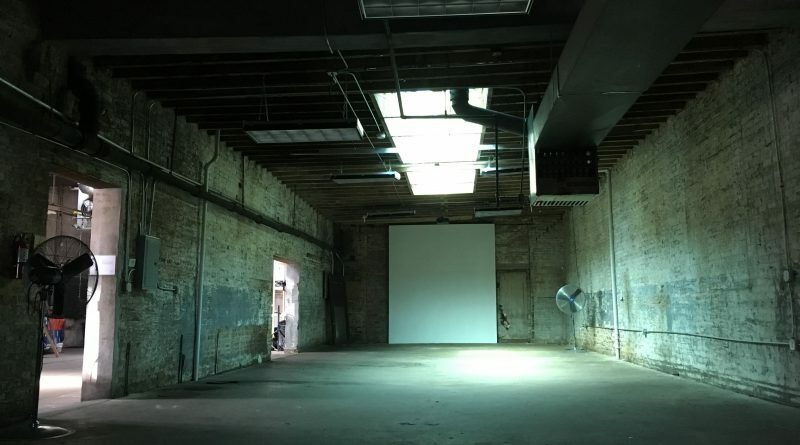 A Memory Palace of Fear will be performed at Silent Funny, an arts space and community hub in the West Humboldt Park neighborhood, home to many foreclosures, dilapidated homes and other housing issues. Mickle Maher, playwright and co-founder of Theater Oobleck, said Bayne’s piece is different from many of Theater Oobleck’s past works in that A Memory Palace of Fear will utilize a large space and is more immersive than other productions. He said the piece fits with Theater Oobleck’s mission by being based on the community and utilizing the real voices of residents in the neighborhood. Bayne hopes to build on this year’s production to create a larger scale art event next year, inviting more artists to curate rooms in the haunted house and offering the workshop throughout the month of October. Visitors are encouraged to purchase tickets for specific time slots. Groups of six to eight people will be led on tours every 15 minutes. The suggested donation is $10. Tours run from 6-10pm on Saturday, Oct. 29 and 1-5pm on Sunday, Oct. 30. Tickets can be purchased here. Alexandria Johnson is a multimedia journalist and proud Northwestern University Master’s and Bachelor’s degree recipient. Alexandria was a SJNN Fellow for Cycle 2 on mental health in Chicago. Follow Alexandria on Twitter @alexandria1007.